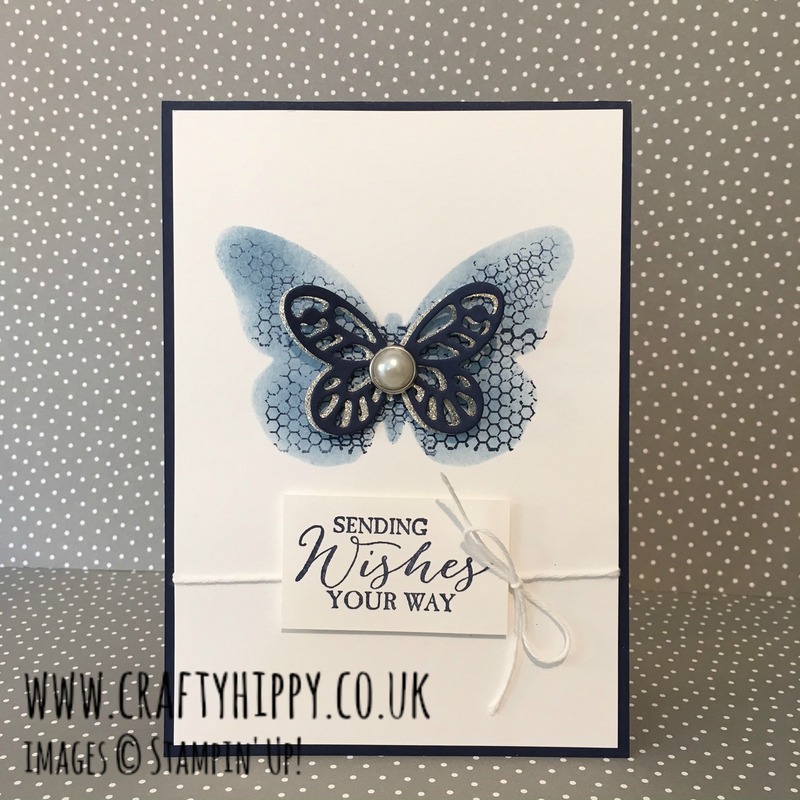 Today's post is a simple and elegant card - I wanted to make something really grown up and smart. I used the Butterfly Basics stamp set (also available in Wood Mount and Photopolymer) and the Bold Butterflies Framelits Dies. There is a tutorial video below. I used Marina Mist and Night of Navy Classic Stampin' Pads to create the bottom butterfly, and then cut out butterflies in Night of Navy Cardstock and Silver Glimmer Paper. If you'd like to subscribe to this blog then click here. You can also click through on the video and subscribe to Youtube - that way you can keep up to date with all of my latest videos.